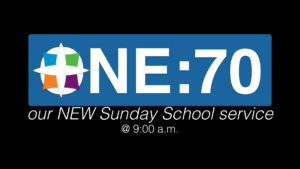 Our new First Service called ONE:70 will start the following Sunday, September 24th, at 9:00 a.m. This will be our new Sunday School program with classes for all ages! The service will be for only 70 minutes. Which is why we are using the “70” term for each service. We are an Official Facilitator for Dave Ramsey! You will have the opportunity to receive a diploma from Financial Peace University if you so choose to, but it is not required to attend ONE:70. Remember ONE:70 is geared to bring YOU to a higher bracket! 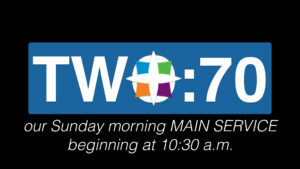 At 10:10 a.m. there will be a 20 minute break for coffee and donuts, then our main service will start at 10:30 a.m. TWO:70 is our regular MAIN Sunday morning service. TWO:70 is geared to take you to a higher place in the supernatural! All of this is going to be AWESOME!